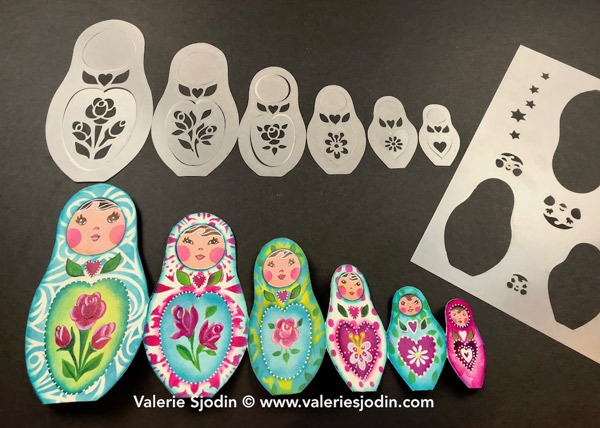 StencilGirl Talk: Nesting Dolls are ready for you to take home and make your own! Nesting Dolls are ready for you to take home and make your own! The Nesting Dolls Stencil with Masks has arrived! 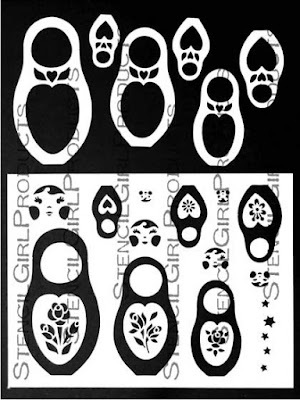 Nesting Dolls comes with 6 doll stencils and masks. Each figure has it's own sweet face and is adorned with a different flower. 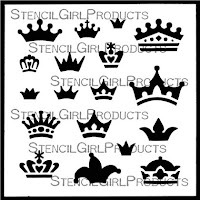 Layer these up and you will not believe it's a stencil. You will need to snip the tiny points that hold the masks in place, but not to worry, Valerie shows you how in the video below. 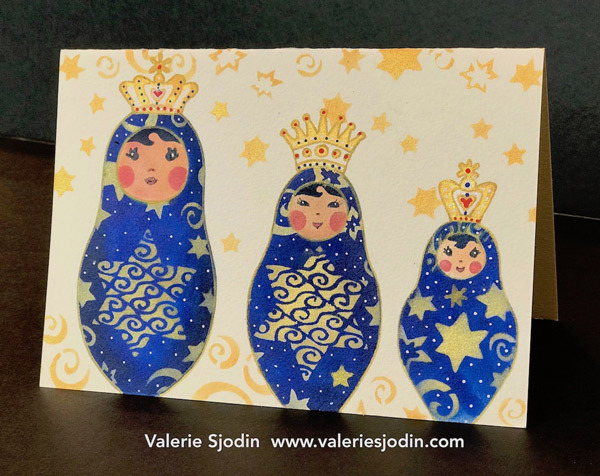 Nesting Dolls designer, Valerie Sjodin has always been drawn to nesting dolls, and have a little collection of them, gathering more when she travels. She says, "They remind me of the layers we have as people and how we are incomplete without relationships with one another. Every Christmas I get out all the nesting dolls, with their layers, and they have a party on the piano or mantle. It has become a family tradition." 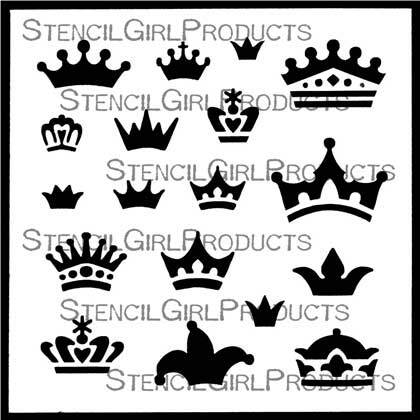 If you want crowns that fit your dolly heads, then the 6"x6" Doll Crowns Stencil fits the decree. Card made with acrylic paint and pens. What will you make with your nesting dolls? 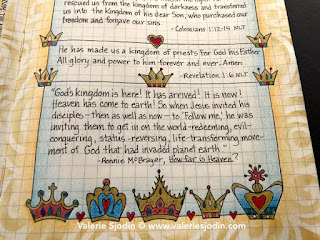 You can see more stencils designed by Valerie Sjodin HERE.